Weigela are medium to large sized deciduous shrubs with perfect compact and rounded habit, ideal for hedging and screening in gardens. Pink Poppet is a fascinating small dwarf-sized variety that blooms attractive pink flowers in profusion during spring and summer. Its variegated green leaves set a beautiful contrast for the flowers and other taller shrubs. It’s a perfect plant that demands low upkeep, used as flowering borders. Pink Poppet Weigela blooms flowers that will attract attention to your garden all summer long. It produces trumpet-shaped light pink flowers in clusters. These beautiful flowers will attract hummingbirds and butterflies. These flowers are backed by elliptic to ovate dark green leaves that make the shrub look dense and perky. Pink Poppet is an easy to grow shrub, one that is suitable for seasoned gardeners. It demands low maintenance and prefers sunny spot for thriving. Plant them in any garden soil that is well-drained, supported with a layer of mulch to keep the roots cool. Pink Poppet is known for its adaptability, making it a border plant that suits every garden landscape. Its blooming performance is vibrant and majestic in full sunlight. In mid-summer, occasionally the plant will reward with repeat blooms. It requires little pruning and deadheading of flowers will encourage new blooms if performed on time. 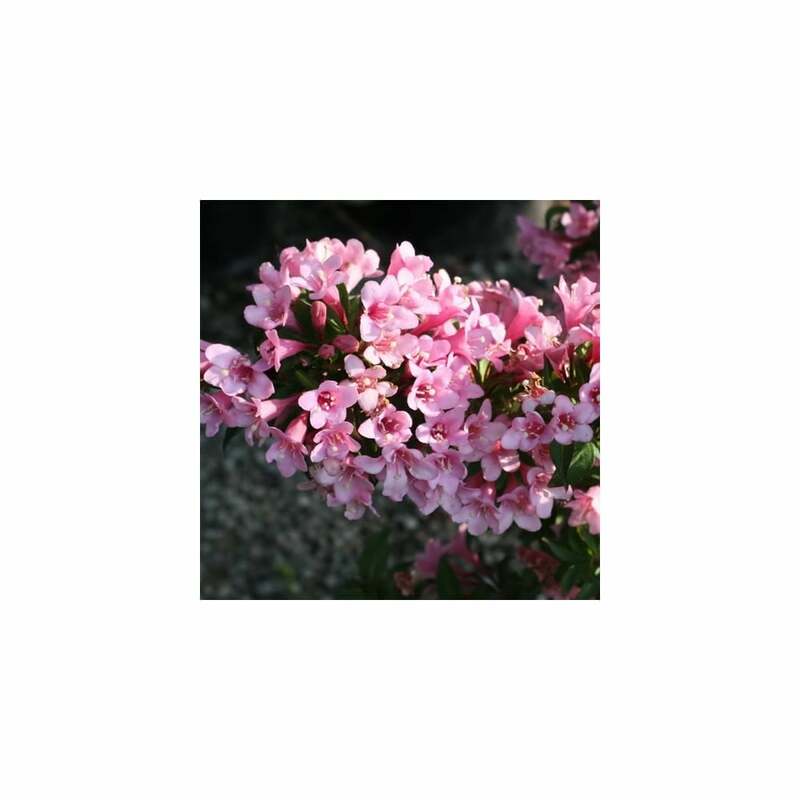 Weigela Pink Poppet are hardy plants that will grow tall carefree once established. Use them as specimen plants or in groups for borders. These are excellent hedging plants for informal gardens or cottage gardens.